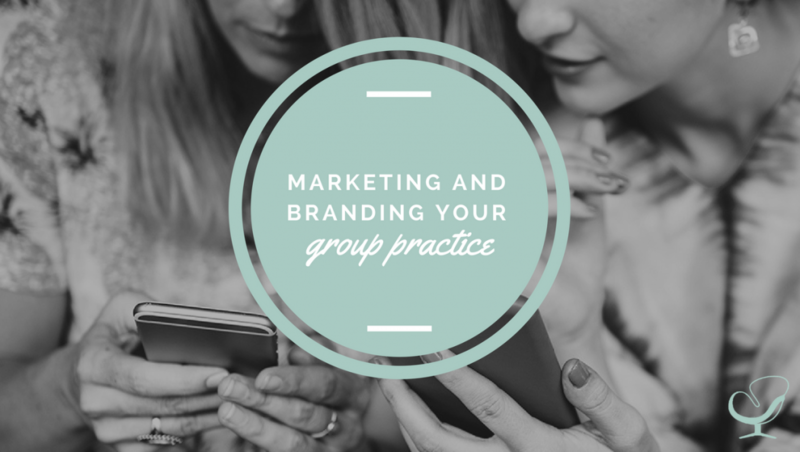 In this episode, Alison Pidgeon speaks about how to market and brand your group practice. Think about marketing and branding in general. Then, think about the other group practices in your community. Think about what niche you want to operate in. Think about how to stand out from other practices through your marketing. What kind of client experience you want to provide. Think about the kind of media attention you want to attract. There are tangible and intangible aspects to your brand. Make sure that your brand and client experience is consistent. Think carefully about naming your practice so that it includes all of your clinicians as well as the name of your town. When you have a solo practice, you become the face of your brand. However, when you have a group practice, you need to market the clinicians within your practice, even more than you market yourself. For example, on your ‘About’ page, list all clinicians before yourself. Also be sure to use ‘we’ instead of ‘I’ in the language of your website. Another idea is to chat to local community leaders about whether or not you can host a seminar. 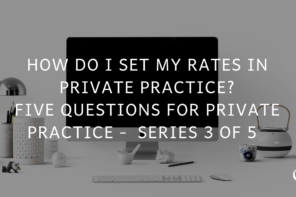 Alison Pidgeon: If you have been thinking about starting a group practice, but have no idea how to market it, download our free e-book at www.practiceofthepractice.com/grouppracticebook. This is the Practice of the Practice Podcast takeover with Alison Pidgeon. [MUSIC] [INTRODUCTION] Hello and welcome to the Practice of the Practice Podcast takeover. I am your host, Alison Pidgeon. Joe Sanok has given me the opportunity to spend five episodes talking to you all about how to start and run a group practice, and I am so excited to be here. Since, now we are on episode four, if you have made it this far, I really got to hand it you. You’ve hung in there this long. We have one more episode to go. Episode one, we had talked about the pros and cons of how to start a group practice and how to determine if it’s right for you. Episode two, we talked all about the “nuts and bolts” of how to establish a group practice. Episode three, we talked about the hiring process, both for a therapist and also for assistants. And today we are going to dig into marketing and branding and how that’s different when you have a group practice versus a solo practice. [MARKETING: THINGS TO THINK ABOUT] I have my own group practice located here in Lancaster County, Pennsylvania, called “Move Forward Counseling.” I have five clinicians and two assistants, and we’ve just grown by leaps and bounds since I started in 2015. And when I started I had no idea how to market my group practice. Obviously, I had some idea how to market my solo practice. But then I realized, oh, this is a whole different animal. So I am excited to talk to you about this today. Something that helped me was actually working with Joe, doing consulting to talk about. How do I brand my practice and how do I market differently. So I am definitely going to share those tips today that I learned from him. So as we get into the subject, one thing that I think is really helpful is to think about kind of marketing and branding in general. So this past summer I had my first experience teaching a graduate level course all about the business of private practice and a big chunk of the class was talking about marketing because obviously if you don’t have clients, you don’t have a business and that’s why marketing is so important. So I kind of talked to them in general terms about, you know, think of different businesses that you use, different companies that you buy products from. Think about their brand. Think about how you interact with that company whether it’s through a website or an actual physical store that you go to and look at how did they make sure things are kind of consistent across the customer’s experience because we can learn a lot from looking at other examples even outside of the counseling world. And so that was definitely something that they hadn’t really thought about before and I kind of got this steer in the headlights look when I started talking about it. But like for example, think about a store like anthropology. They have a very specific brand. If you saw something from anthropology in somebody’s house, you probably would know it’s from anthropology. They are very good at having their products be consistent with their brand and the stores and the magazine and the website, and all that kind of stuff. So definitely take a couple of minutes and think about what is a company or a business that you interact with and think about all the different elements that make up that brand, how do you know. Even if you didn’t necessarily see the word Nike, if you see the swoosh you know it’s Nike because that’s a very clear representation of their brand. 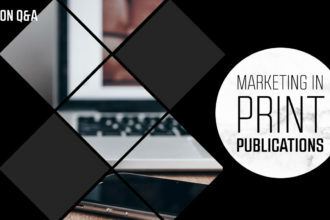 So now that we have you thinking just in general terms about branding and marketing, I want you to think about the other group private practices in your community. Is there anything in your mind that sticks out right away or that kind of makes that memorable? Do they have a clear brand? Is there a certain niche that they serve that’s very obvious, just by first glance at their brochure or website. And I started asking these questions when I was looking at how to market my group practice. And what I noticed is other group practices in my community tended to be pretty vanilla. They didn’t have a catchy name. They didn’t have a modern-looking website. It wasn’t really clear who their niche was or did seem like they kind of served everybody. They had really generic-sounding names like Behavioral Healthcare Consultants. And then in my area, it’s pretty common that mental health services have some kind of Christian orientation. So if I had that as a niche, I wouldn’t really be standing out from the crowd. It’s also not common to see practices that have a well-defined niche. So I knew that if I did that would really help me to stand out. Just sort of taking note of the landscape of the mental health community was really helpful. So I could figure out what’s going to make me stand out from the crowd. Then based on my research I made a list of things that I decided would help me to stand out. And one of them was making it clear that my practice doesn’t have any kind of religious orientation, that we are accepting clients of all religions. I decided to use a unique name and a logo that was colorful and I would use elements of the name, the logo, wording across the whole experience to give clients the impression of a consistent brand. We will talk more about this in a minute. The fourth thing I decided was that I would develop an umbrella niche that’s kind of what I call it. So we put various niches of the clinicians under the umbrella. So the tagline for the business is that we are a women-centered mental health private practice. And this makes sense because our individual niches are issues that women deal with such as infertility, postpartum depression and anxiety etc. But underneath that umbrella every clinician has their own niche. The fifth thing that I decided is that we would offer clients a really high-end experience. From what I could tell, there weren’t any other practices who are really trying to cater to this kind of clientele. So I made sure that our office looked beautiful, and it was a very catered experience. There is drinks and snacks in the waiting room. It’s really kind of the whole package. And the last two things I decided was that I was going to make an effort to get media attention for the practice and be a local expert for the media which no other practices were really doing and that I would only hire experienced licensed therapists who had really excellent clinical skills. So I really wanted the experience of the client to be great by hiring people who really knew what they were doing. So that might be a really helpful exercise for you to actually sit down and write down what is sort of your vision for the practice. What do you want clients to come away feeling or thinking about your business. What’s important to you when it comes to providing therapy, and actually kind of take some time and put these things down on paper so that you have a plan to follow. [DEFINING “BRAND” ETC. ] So why don’t you jump in for a second to kind of the definition of a brand. I know I have been using that term and I was reading a really interesting article in Forbes magazine by Jerry McLaughlin and he had a really interesting take on the concept of a brand. He said put simply, your “brand” is what your prospect thinks of when he or she hears your brand name. It’s everything the public thinks it knows about your name brand offering. It’s both factual and emotional. Your brand name exists objectively; people can see it. It’s fixed. But your brand exists only in someone’s mind. And I when I read that I was just blown away because I just felt like that was such a good description of a brand and how I interpreted that was, you know, you’re going to have tangibles and intangibles that make up your practice. So obviously the tangible part is really easy to explain and think of examples. Like they are going to see your logo. They are going to see what y our office looks like when they get there or they are going to see pictures of it on your website. But the I think the intangibles are harder for us to think about. And so I wanted to give you more in-depth examples of those. So for example, how much of a hassle is it for your client to make an appointment or to deal with billing. Do you think your client feels that the therapist they were matched up with is a good fit for them? Does what they saw on your website or other marketing materials match up with their experience of being in the office. So this last example is about brand consistency. It would be really jarring for a client to get one impression about your practice before coming to their session and then have a totally different experience once they get there. For example, you may have a high-end website and have a self-pay practice, but then when the client actually arrives, the office looks kind of shabby. It’s uncomfortable. So obviously then your client’s experience is not consistent. I think something that a lot of business owners don’t think about is kind of the whole package of the client’s experience. So from the minute they call to the minute they actually arrive and maybe have to park in the parking lot or walk through the waiting room or whatever it is, you know, all of those elements make up their experience and all of that is part of your brand. And so taking the time to think through all of those steps and not just the actual time they spend in the room doing therapy I think would be a really important exercise to make sure that your brand is consistent and the client’s experience is consistent. So I want to explain to you how I did this. My practice is called Move Forward Counseling and the logo has an arrow on it. We use quotes with the phrase, move forward in them as part of our marketing. So when you log on to the website, there is like a scrolling pictures with quotes that come up. And they all have that phrase move forward in them. We have pictures of arrows hanging up in the office. 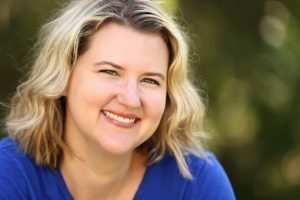 I chose the name Move Forward because that was part of my philosophy of counseling to give clients really concrete ideas and strategies about how to improve their lives. I realized, you know, over all the years I have been doing therapy that people come to therapy because they are stuck and they want to move forward but they don’t know how. So the name and the story really sticks with people, and then it helps them to remember when it’s maybe time to make an appointment or you know a friend is asking them for recommendation, our practice sticks out in their mind. [MARKETING A GROUP PRACTICE] So hopefully my story of naming and branding and all of that was helpful. And I wanted to now switch gears a little bit and talk about how you can figure out what you are going to do for your marketing and branding for your group practice. And I think the one thing that people often get hung up on is the name. Obviously if your practice’s name is your name, then you probably want to change it to something that reflects that your group. So when I started with my solo practice, the practice was in my name. I then when I hired somebody or was looking to hire somebody, I re-branded into Move Forward Counseling. So that was a symbol as I have an LOC, so then I had to file what they call doing business as paperwork with the State and I was able to change the name. So I feel like something that can be helpful to think about when you are looking at what to name the practice is again sort of think about your philosophy of therapy or feedback that you’ve heard from clients about what they have gotten out of therapy, that might be a helpful way to think about it, looking at quotes like I did when I was trying to figure out what to name my practice might, you know, sort of as some inspiration. So Move Forward actually comes from a quote that says something like life is like a bicycle. The only way to keep your balance is to move forward. And so I used that quote in our marketing materials and on the website. Something else you might want to think about is putting the name of your town in the name of your practice or at least including that in the website address because when people are searching on the google they are often going to search therapy or counseling and then they are going to put in the name of the town. So if you an incorporate that somehow, that might be helpful as well to allow people to find you more easily. So the other thing, I know, that people really struggle with is are you going to set up a practice where everybody does the same thing or you’re going to set up a practice where everybody has a different niche and I think that either one has its own set of pros and cons. I don’t think there is one that is better over another. So let me give you an example. So let’s say that you are a play therapist. You want to hire another play therapist. The whole practice is just going to be the niche of play therapy. I think depending on how much competition there is in the area that you are in I think that could be really smart. You are kind of be known as like we are the play therapy practice in our town. So the other option would be where you have a practice which each clinician has a different niche. Obviously some of these would end up complementing each other. So for example, you have one clinician who does couples counseling, one who does [Inaudible 00:14:48.28] diagnosis, one who does eating disorders etc. etc. So that way if a client comes in with a particular problem and then maybe they need something else – like, they come in to talk about anxiety, but they end up wanting couples counseling, you have somebody within the same practice to refer to, obviously you would have enough niches available that it would probably appeal to a wide variety of the population in your area. So, I think this is also a really smart idea, and again I don’t think there is a right or wrong. I think it just depending on what you envision for your practice. I had touched on before. I kind of did a hybrid option between one and two. So like I said before, the overall tagline for the practice is that we are a practice focused on women’s issues. So I found a way to kind of tie all the niches together even though we all have different niches. So here is another challenge that you might face when you start [training 00:15:47.21] to market your group practice. When you were the solo provider, you were the brand. But now you want the practice to take its own brand. So a lot of times, we become the face of the practice so to speak when we are the solo provider because we are the only person who is there. So of course it’s going to be us. But, you know, I really want to fill up my clinicians schedules before mine because that frees up more of my time to run the practice. So some tips that Joe had given me was like when I go to talk to potential referral sources, I make sure to talk about the other clinicians first. I really kind of emphasize their niches before I talk about myself and really try to talk them up instead of talking about myself. One other way that I have done this is well is on the website, I have myself listed last on the about us page, so when you click on it you see all the other clinicians first and you have scroll down to see me and my bio. And that way hopefully they see somebody that they like before they get to me. I think too just a real simple change that you can make is changing the language on your website from I to we. Something as simple as that can make a big difference , and I found that having other clinicians in my practice that have a really clear niche helps them to become known in the community. So I have a clinician who just loves to work with team girls and she does an amazing job. And as the families go back to the referral sources like the pediatrician’s office and say what an awesome job Whitney did and so she is sort of now known among the referral sources as the team therapist. So that’s great because we continue then to get those referrals. Some other quick tips I have for you, Psychology Today directory is a great source of referrals for us. Instead of just having one profile I have one for each of my clinicians. So it’s really highlighting their specific niche in turns as they take in all that kind of stuff. Going back to the website, it is really helpful to have a separate page with a bio of the each of the clinicians with their nice professional headshot on there because that’s going to help you to show up higher on a google search for their specific niche. So, for example, if somebody types in, you know, adolescent or team therapy and the name of our town, then Whitney’s is going to come up most likely. You can also create a tab. For example on my website, it’s called services offered and then there is like a drop down menu and there is separate pages for each of the niches that we offer. And that way again, you are ranking higher on google for those different niche words which can be realy helpful to have people find you and also get you ranked higher on google. On our website as well, I have a blog set up and each of the clinicians have taken turns writing blog post, and that allows them to kind of show potential clients kind of their style, their personality. Obviously, it’s probably providing value content and it also helps our SEO. One other thing, especially if you are just starting out, that you might want to try in terms of marketing is connecting with some other organizations in your community to see if you or your clinicians can provide a free seminar. So when I first started, I did this and what was really helpful was that I didn’t necessarily get a lot of clients out of the folks who attended this seminar, but that organization had a huge audience and had a big social media presence. And so when they advertised the seminar, it helped people to become aware of the practice. We got a lot more likes on our Facebook page, and it is all round, was really helpful for our marketing. So that is by no means an exhaustive list. I just wanted to give you a couple of examples to get you started thinking about how you could market your practice differently if you decide to become a group. One piece of advice I have for you is sit down and write down all the ways that you market now as a solo provider and maybe you could just sort of tweak some of the things you are already doing that’s working. For example, you might find that networking with other therapist is really helpful, and so when you become a group it might just be a simple as going back to those therapists friends and just saying, hey we are now a group, and here is the new population that we are going to serve or we are able to serve more clients for the same population or whatever it might be. So if you have a really clear marketing plan in mind, then I think that would be really helpful. [CONCLUSION] So since you made it this far into episode four, you are probably pre-committed to getting as much information as you can about started a group practice. So definitely download the free e-book that I wrote, all about how to start and run a group practice. It’s at www.practiceofthepractice.com/grouppracticebook. There is more information in there than I am including in the podcast. So I think it would be worth of your time to get a hold of that, and I just wanted to end by saying a quote that I feel like is really impactful for me. And that is the distance between your dreams and reality is called action. So you may have noted a few times in this podcast I kind of gave you a task of writing some things down. So maybe that could be your action step this week. Clearly figure out a plan for your marketing for your niche group practice. And I will talk to you next time.